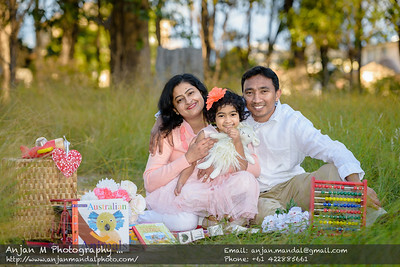 Thank you so much Anjan for doing our little princesses & family photoshoot also the wedding coverage. The photos are beautifully edited and all the family love the photos and we admire your work it is beyond expectations. I liked how you took your time to capture all the precious moments for us very much appreciated. I'm really happy with your work and it is evident that you take photography and editing passionately. I like every single photo especially the ones of our princess with the pink wrap and Christmas basket. I'm very glad that I contacted you for capturing our daughters precious moments and all the family members together. We really appreciate your work. We will definitely organise a time in the near future for more family photo sessions. You did a great job for the wedding as well and everyone spoke highly of your professionalism and would highly recommend you. You are such an amazing person with a great personality. I love the way we became friends and not just customers. You did a fabulous job and I thank you soooooo much. Photographer plays very important role in capturing those special moments and we instinctively felt that this is something that comes natural to you. Words cannot describe the professionalism, talent and passion behind you work. We both feel truly blessed to have had you on our special day. 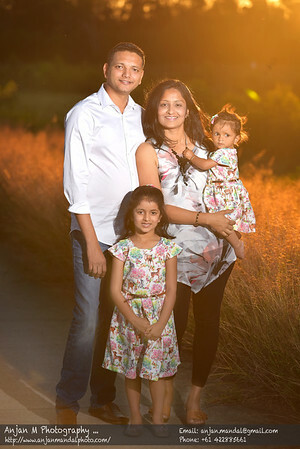 Anjan,you are an amazing photographer and wonderful person. Absolutely THE BEST photographer around! Anjan makes you feel at ease the entire time and truly captures the most amazing shots—-both unique and timeless. He effortlessly tailors to specific photo requests and you can tell him loves every moment of it. I would highly recommend him to any family or friend! Thank you SO much for putting together the beautiful box of photos!!!! We cannot thank you enough for all of your help and wonderful work – it has been such a pleasure getting to know you! The photos are truly incredible – it was so much fun sitting down and going through them together! Thank you again!!!! Anjan has been terrific ..he showed lot of patience around kids and took great photos.. He never rushed things and overall our family had a great time during the photo shoot . 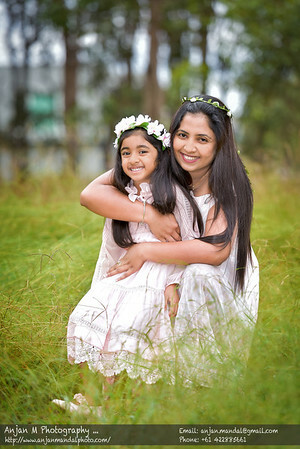 Thank you Anjan for capturing beautiful memories of my daughter's birthday.